Another day, another snow job in the frosty local tabloid. 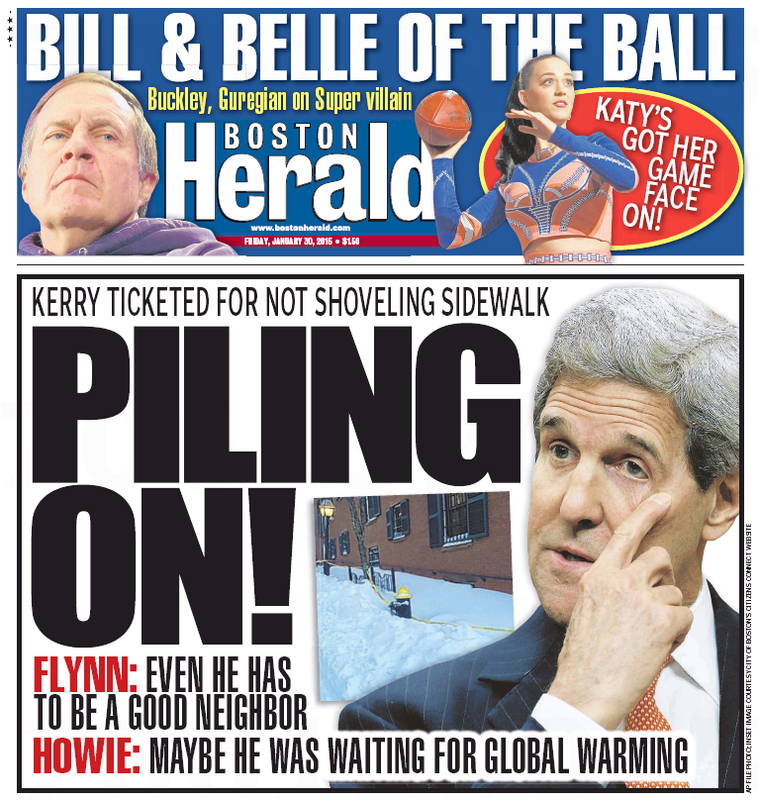 And – special bonus – it’s about one of the Herald’s favorite punching bags: Long Jawn Kerry. A story this monumental, of course, deserves the high-priced spears inside the paper. We’ll spare you Howie Carr(toon)’s lame jokes and tired insults, as well as the pious musings of Fr. Flynn. Suffice it to say, it’s a pile alright – just not of snow. Crosstown at the Boston Globe, the story got the play it truly deserved: Metro page 5. File under: Snow big deal. This entry was posted on Friday, January 30th, 2015 at 12:56 pm and is filed under Uncategorized. You can follow any responses to this entry through the RSS 2.0 feed. You can leave a response, or trackback from your own site.